Ridge capping is a critical aspect of any well-sealed roof. 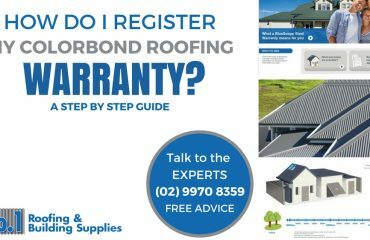 It’s usually the last feature to be added to your roof but it is vitally important that it’s done correctly, as ridge capping prevents water and wind from getting underneath your roofing tiles or sheets through the highly exposed and vulnerable ridge seam. Ridge capping also adds an attractive finish to the roof line. 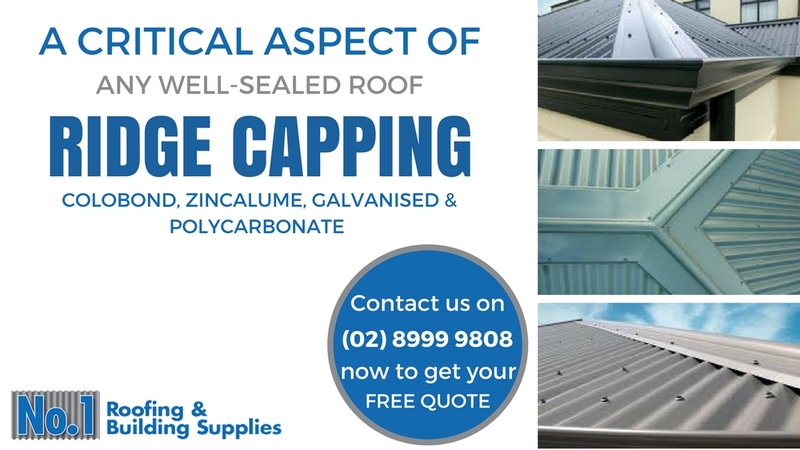 Ridge capping comes in many different types and materials and No1 Roofing supplies a wide range of capping products and accessories to cater for all roof types including polycarbonate translucent plastic panels. How Does Ridge Capping Work? 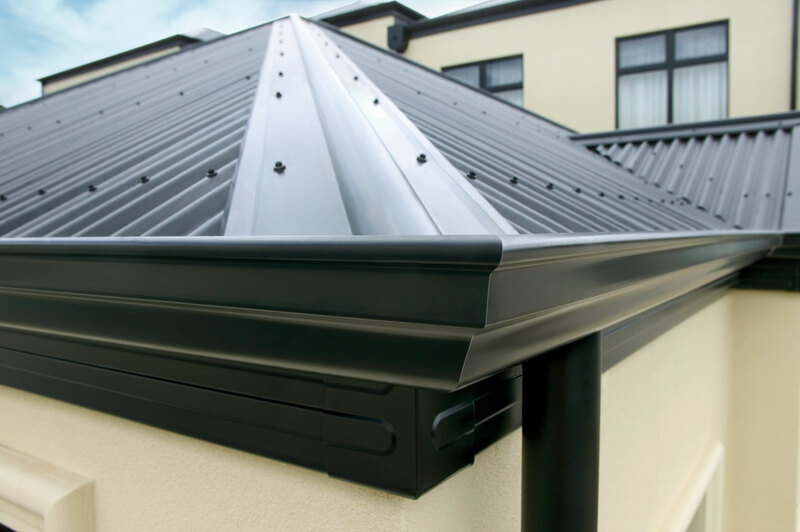 Ridge capping both looks and functions like a kind of V-shaped or rounded flashing. 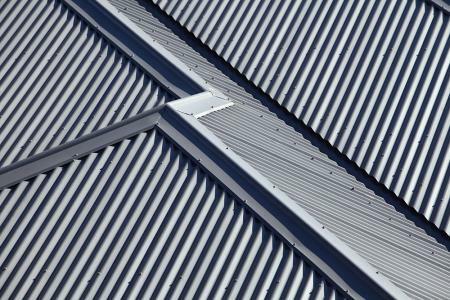 Roof ridge caps are fixed to the ridge lines with sufficient overlap across the sheets underneath and also feature a downwards folding lip to prevent wind or capillary action driving moisture into the roof cavity. Ridge caps are an essential part of your roof’s drainage system. 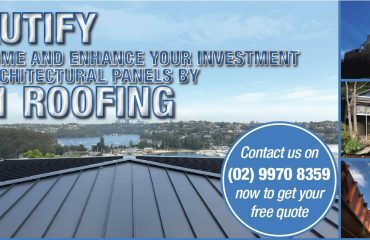 As with any roofing product it is critical that you choose the appropriate product for your requirements. 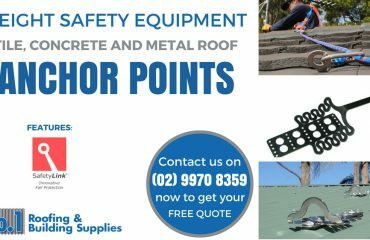 Using appropriate roof materials for your area— corrosion zones, council requirements etc. Correct installation and the use of appropriate fasteners is also pivotal to the long-term life and function of your new roof. Doing it on the cheap never pays so talk to the helpful No1 Roofing experts and avoid those costly mistakes. This well-known Australian manufacturer produces some of our most popular products. 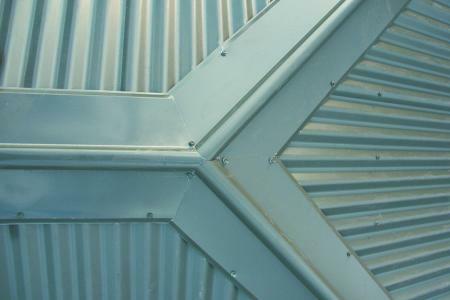 Lysaght manufacture ridge cappings and flashings to match all their products including Roll Top Ridge Capping, Barge Capping and Barge Roll. They can also manufacture a range of custom shapes and profiles. A wide range of 23 different colours means that Lysaght have the roof capping to top off your roof perfectly. And Lysaght uses 100% Australian made Colorbond or unpainted Zincalume steel. 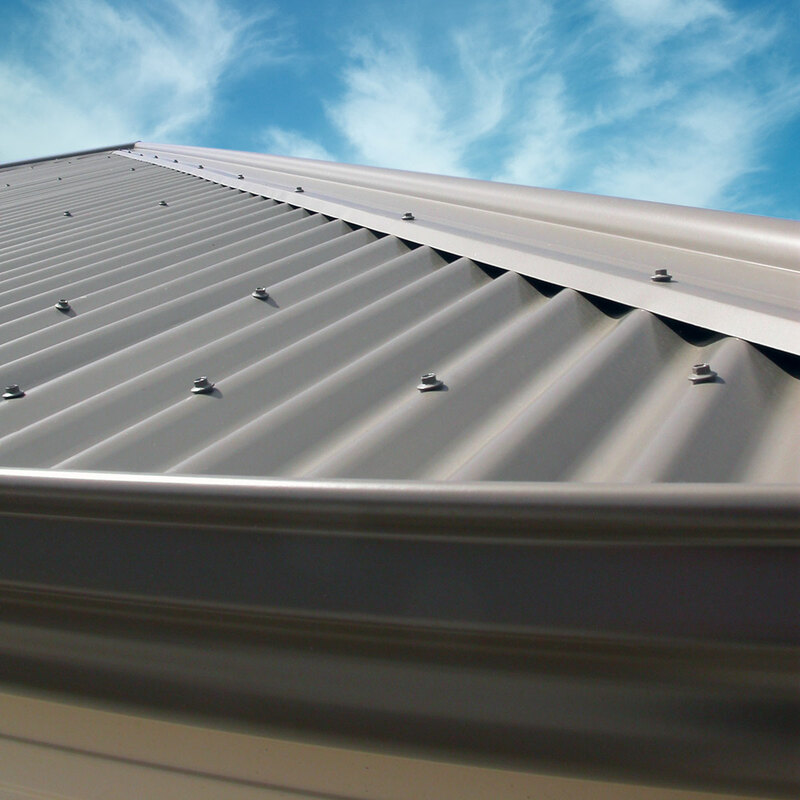 Stramit is another major Australian producer of high quality roofing materials. Stramit is part of the Fletcher Building company and have been around a long time with a reputation for excellence. Stramit uses superior Colorbond steel with the huge range of baked-on Colorbond colours for the look that’s so popular throughout Australia. Fielders has been looking after the needs of the Australian construction industry for 115 years. They have built their business around providing high quality products based on rigorous testing and superior engineering expertise. Polycarbonate translucent plastic panels have become enormously popular especially for patios and outdoor areas. If we don’t have what you want in stock we can generally get it for you at the low low prices we’re famous for. Choose an appropriate silicone sealant to seal overlapping joins. No. 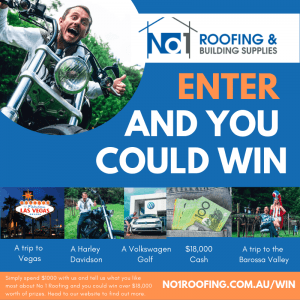 1 Roofing: we know roofing and it’s our mission to give you the best roof for your needs and budget but the friendly, expert advice is always free.